NEW! Bahco P59-25-F Universal Hedge Shears - 580mm Length. Bahco universal hedge shears - for all hedge types. 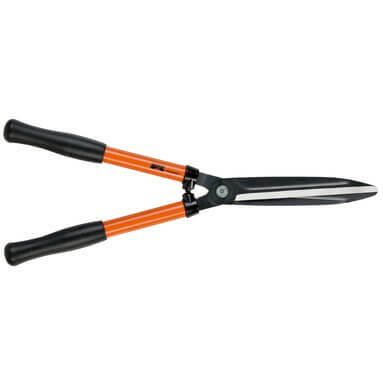 Ideal for frequent hedge trimming in gardens, these hedge shears feature a simple and reliable design that provides a comfortable, high-performing experience. Robust steel handles with rubber shock absorbers for added comfort. Stamped and fully hardened blades.